Although in its recent decision in R v Horncastle ( UKSC 14), the Supreme Court indicated that it would not always follow Strasbourg case law, this view was reached only after very careful consideration and analysis of the relevant cases. The case law of the Court of Human Rights remains highly persuasive and to be followed by the English courts unless there are very good reasons to the contrary. In this post we will look at the United Kingdom cases dealt with by the Court in the last quarter of 2009. A number of these involve challenges to House of Lords decisions and issues which seem likely to concern the Supreme Court in the future. United Kingdom cases are dealt with by the Court’s Fourth Section. In UK cases the President of the Section is the Polish judge, Lech Garlicki. The UK judge, Sir Nicholas Bratza (who is a Vice-President of the Court) is always a member of the Court when UK cases are dealt with. The Court will then contain five other judges from the other members of the section: Giovanni Bonello (Malta); Ljiljana MijoviÄ‡ (Bosnia and Herzegovina); David Thor Björgvinsson (Iceland); Jan Šikuta (Slovak Republic); Paivi Hirvelä (Finland); Ledi Bianku (Albania); Mihai Poalelungi (Moldova); Nebojsa Vucinic (Montenegro). Since 1 September 2009, the Court of Human Rights has given judgments in 3 United Kingdom cases, declared 9 inadmissible and struck 7 out of the list. In addition, it has “communicated” 19 cases to the United Kingdom government. Six of these cases involve direct challenges to decisions of the House of Lords. There have been three findings of violations by the United Kingdom in the past three months. The case of Crompton v United Kingdom (App No 42509/05) Judgment of 27 October 2009 concerned various complaints concerning his redundancy from the Territorial Army in 1994. He was eventually awarded compensation by the Army Board in 2005. It was held that there was a breach of the “reasonable time” requirement in Article 6. His complaint about lack of independence and impartiality of the Army Board was dismissed. In Omojudi v. the United Kingdom (App No 1820/08, Judgment of 24 November 2009), the Fourth Section held that the deportation of the applicant, who had lived in the UK since 1982 and had strong family ties, was a breach of his Article 8 rights. Most recently, there is the decision in Financial Times v United Kingdom (App No 821/03, Judgment of 15 December 2009) in which the United Kingdom was held to be breach of Article 10 as a result of the “source disclosure” order in the case of Interbrew v. Financial Times ( EWCA Civ 274). It was held that, in the circumstances of the case, the interests of Interbrew in identifying and bringing proceedings against the “source” with a view to preventing further dissemination of confidential information were not sufficient to override the public interest in the protection of journalistic sources. In Lowe v United Kingdom (App 12486/07)(Decision of 8 September 2009) the application was inadmissible due to a failure to exhaust domestic remedies. In Mubarik v United Kingdom (App No 3867/07 Decision of 8 September 2009) the Court held that the applicant’s complaint under Article 6 that a Hadkinson order – debarring him from taking further part in proceedings unless he first complied with an earlier order. In Andrews v United Kingdom (App No 46263/06)(Decision of 29 September 2009) the applicant complained that his removal to Nigeria violated Article 8. The applicant had a significant criminal record and had only resided lawfully in the UK for a short time. His wife knew of his precarious immigration status at the date of marriage. As a result, the application was inadmissible. In Lynch v United Kingdom (App No 19504/06) Decision of 6 October 2009 the applicant was a mandatory lifer who complained that it had taken 4 years and 6 months for the court to review his tariff. The court held that although this was a lengthy delay it was the result of a temporary backlog following the institution of the new review procedure. As a result, there was no violation of Article 6 and the complaint was inadmissible. In Allen v United Kingdom (App No 5591/07) Decision of 6 October 2009 the applicants were owners of properties near Stansted Airport who complained that endorsement of plans for a second runway was an unjustified interference with their rights under Article 8 and A1P1. As planning permission had not yet been granted the complaint under Article 8 was manifestly ill founded. There was no breach of A1P1 because the scheme for construction of the runway struck a fair balance. In Watkins v United Kingdom (App No 35757/06)(Decision of 6 October 2009) the applicant was a life prisoner who complained about interferences with his legal correspondence. The authorities had acknowledge the breaches but paid no damages. This was sufficient redress and, as a result, the applicant was no longer a “victim” under the Convention. The domestic case was Watkins v Home Office  UKHL 17. In Minhas v United Kingdom (App No 7618/07), Decision of 10 November 2009, the Court held that the procedures in the Proceeds of Crime Act 2002 whereby the onus was on the defendant to show that his assets were insufficient to meet a compensation order for the full amount of his benefit from the crime of which he was convicted were not a breach of Article 6. As a result his application was inadmissible. In Rai v United Kingdom (App nos. 26258/07 and 26255/07, Decision of 17 November 2009) the applicants complained about their arrest, detention and prosecution for demonstrating without authorisation. A breach of Articles 10 and 11 was relied on. The court held that a pre-authorisation requirement was not incompatible with Article 11 and the sanctions imposed were not disproportionate. As a result, the application was inadmissible. In Friend v United Kingdom (App Nos 16072/06 and 27809/08), Judgment of 24 November 2009 the Court considered complaints that the ban on hunting with dogs was a violation of Article 8, 9 and 11, Article 1 of the First Protocol and Article 14. This arose out of the decision of the House of Lords in Countryside Alliance v Attorney-General  UKHL 52. The Court held that the found “hunting to be too far removed from the personal autonomy of the applicants, and the interpersonal relations they rely on to be too broad and indeterminate in scope, for the hunting bans to amount to an interference with their rights under Article 8” (para 43). It considered that any interference with the rights of the applicants under Article 11 and A1P1 were proportionate. As a result the application was dismissed as manifestly ill-founded. Yahya v United Kingdom (App No 43537/07)(Decision of 8 September 2009). The applicant alleged that her deporation to Sudan would violate Article 3. It was withdrawn and struck out of the list. MA v United Kingdom (App No 43790/06 )(Decision of 8 September 2009). The application was struck out of the list after the applicant failed to respond to correspondence from the court. K v United Kingdom (App No 29696/07)(Decision of 8 September 2009). The application complained that removal to Ethiopia would breach Articles 2 and 3. It was withdrawn after the applicant was granted refugee status and struck out of the list. Hussain v United Kingdom (App No 5648/04)(Decision of 29 September 2009). The complaint concerned the proposed expulsion of a failed asylum seeker. The applicant indicated he wished to withdraw the application and it was struck out of the list. ABS v United Kingdom (App No 26970/07), Decision of 6 October 2009. This was a complaint that deportation would be a breach of Article 3. The applicant did not reply to correspondence and the case was struck out of the list. Thomson v United Kingdom (App 43371/05)(Decision of 6 October 2009) concerned interception of communications in the Isle of Man. It was the subject of a friendly settlement, with the UK agreeing to pay compensation of €12,500. SW v United Kingdom (App 33755/06)(Decision of 6 October 2009) concerned the removal of children from the applicant’s care. It was struck out as she failed to inform the court that she wished to continue with her application. SS and SL v United Kingdom (App Nos 34274/08 and 42923/08), Communicated, 10 September 2008. The questions posed were: would each applicant’s return to Sri Lanka give rise to substantial grounds for believing that he or she would be at real risk of ill-treatment in violation of Article 3 of the Convention? Jones and Mitchell v United Kingdom (App Nos 34356/06 and 40528/06), Communicated18 September 2009. The fundamental question posed was: Did granting immunity to the Kingdom of Saudi Arabia amount to a disproportionate interference with the applicant’s right of access to court under Article 6 of the Convention? The domestic case was the decision of the House of Lords in Jones v Kingdom of Saudia Arabia  UKHL 26. Hanif and Khan v United Kingdom (Appl nos. 52999/08 and 61779/08), Communicated 22 September 2009. The fundamental question posed was: Is the participation of police officers in juries compatible with the right to an independent and impartial tribunal, as required by Article 6 § 1 of the Convention? The domestic case was R v Khan  EWCA Crim 531. Alder v United Kingdom (App 42078/02), Communicated 1 October 2009). The questions posed concerned the violation of the applicant’s brother’s right to life, when he died in police custody. MS v United Kingdom (App No 24527/08), Communicated 14 October 2009, Was the applicant subjected to degrading treatment, in breach of Article 3 of the Convention as areuslt of his detention by the police under the Mental Health Act 1983? NM and MM v United Kingdom (App Nos 38851/09 and 39128/09), Communicated 19 October 2009. The question posed was: Would the applicants’ removal to Uzbekistan violate Article 2 and/or Article 3 of the Convention? Habibi v United Kingdom (App No 48839/09), Communicated 19 October 2009. The question posed was: Would the applicant’s removal to Afghanistan violate Article 2 and/or Article 3 of the Convention? Hardy and Maile v United Kingdom (App No 31965/07), Communicated 28 October 2009. The questions posed concerned the assessment of risks associated with LNG projects in Milford Haven harbour and the positive obligations of the state under Articles 2 and 8? The domestic decision was R (Hardy) v Pembrokeshire County Council  EWHC 1872 Admin. Irene Wilson v United Kingdom (App No 10601/09), Communicated 6 November 2009. The question posed was whether a suspended sentence imposed on the applicant’s husband for a serious assault on her amount to a violation of the applicant’s rights under Article 8 of the Convention? OBG v United Kingdom (App No 48407/07), Communicated 13 November 2009. The question posed was: Has there been an interference with the applicants’ peaceful enjoyment of their possessions, within the meaning of Article 1 of Protocol No. 1? If so, has there been compliance with the States’ positive obligation to secure through its domestic legal system the applicants’ rights under Article 1? The domestic case was OBG v Allan  UKHL 21. Pearson v United Kingdom (App No 40957/07), Communicated 19 November 2009. The question posed concerned whether the procedural requirements of Article 2 had been complied with in relation to the death of Kelly Pearson. The domestic case was Pearson v HM Coroner for Inner London North  EWHC 833. Hurst v United Kingdom (App No 42577/07), Communicated19 November 2009. The question posed was whether there had been a failure to protect the life of the applicant’s son (by the police and/or by the local authority). The domestic case was R v. (Hurst) v. North London District Coroner  UKHL 13. Kennedy v United Kingdom (App No 26839/05) Communicated 20 November 2009. The questions posed concern the safeguards and guarantees under the Regulation of Investigatory Powers Act 2000 and whether or not the interception of the applicant’s communications was a violation of Article 8. The Court also asked whether the proceedings before the Investigatory Powers Tribunal constituted a fair hearing under Article 6. H v United Kingdom (App No 22241/08), Communicated 27 November 2009. The question posed as: Did the automatic imposition of an indefinite Notification Order on the applicant give rise to a violation of his right to respect for his private life under Article 8 of the Convention and if so whether the applicant had an effective remedy under Article 13?. The domestic case was R (JF and Thompson) v. Secretary of State for the Home Department  EWCA Civ 792. Bah v United Kingdom (App No 56328/07) Communicated 1 December 2009. The question posted was: Has the applicant been discriminated against in violation of Article 14, read in conjunction with Article 8 of the Convention? 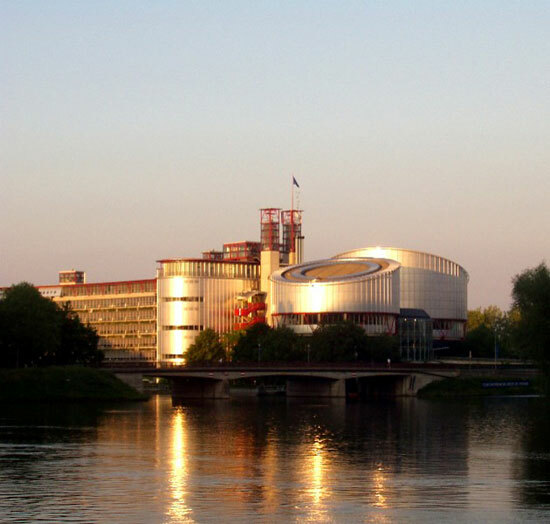 Leave a reply on "The United Kingdom in Strasbourg – Autumn 2009"